eD@HoMe: 2 Lovely French covers! Bonjour! Today, I have 2 awesome French covers to share with you. 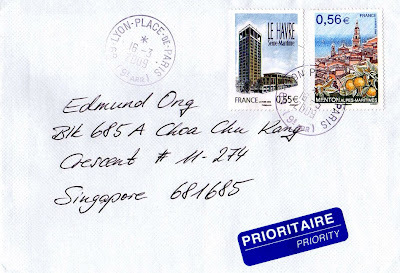 Many thanks to Contessee Eric for sending today's first cover from Lyon. 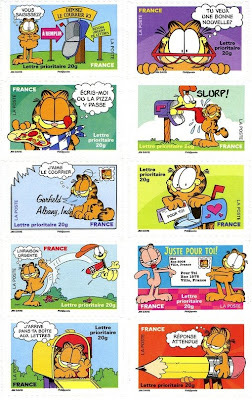 The 6 lovely Garfield stamps are part of a set of 10 stamps from the Garfield stamp booklet issued on 18th September 2008. Next, we have this beautiful cover sent by Thomas Nikoleit. Thank you very much! 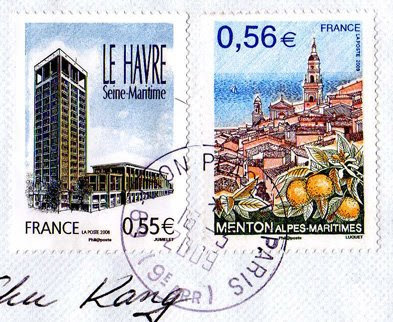 The 2 stamps franked on this cover depict architectures from the French communes of Le Havre (Northwest region) and Menton (Southeastern France). 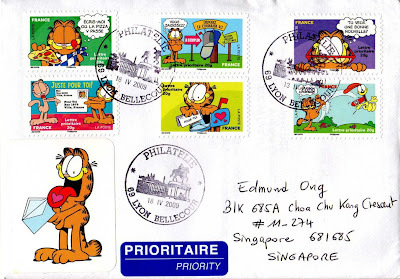 They were issued on 15th September 2008 and 2nd March 2009 respectively.